Decorate your life with fun fonts and beautiful quotes made your way. 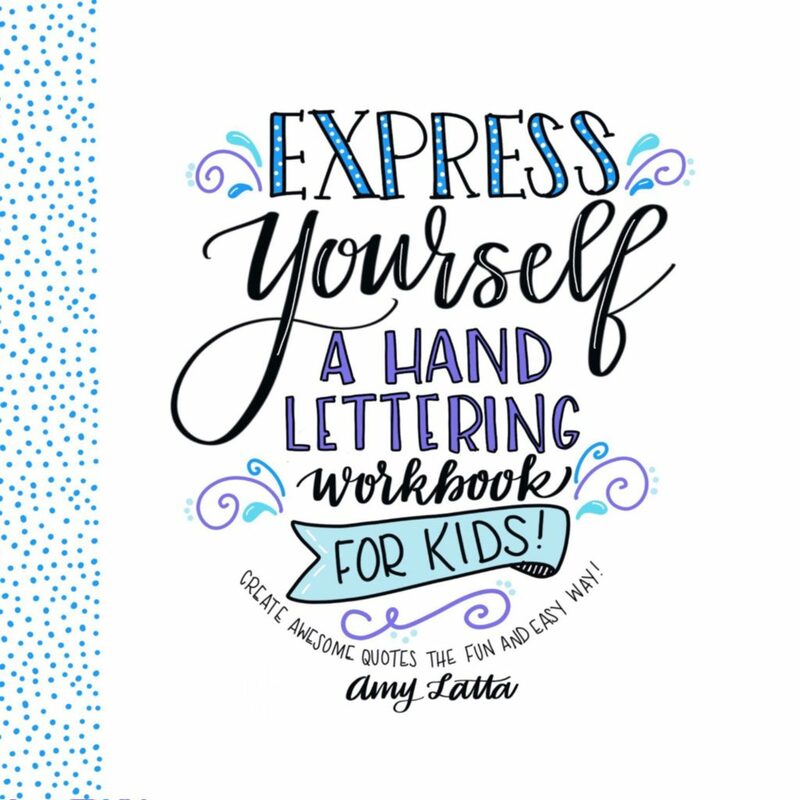 In Express Yourself: A Hand Lettering Workbook for Kids, Amy Latta will show you the basics of hand lettering and beyond. Learn fancy cursive and watercolor lettering. Add adorable details like flowers and animals. In the craft bonus section, you’ll find ideas on how to turn your finished work into fabulous DIY projects. Embellish pillows, notebooks and wall art with your own unique writing. It’s easy to share your art online, and make one-of-a-kind cards and invitations for friends and family.